As event organiser, you can use Accredion to collect data from your groups. You can manage forms per event edition via the Forms link in the left hand menu. To create a form, click on the Add form button at the top of the page. 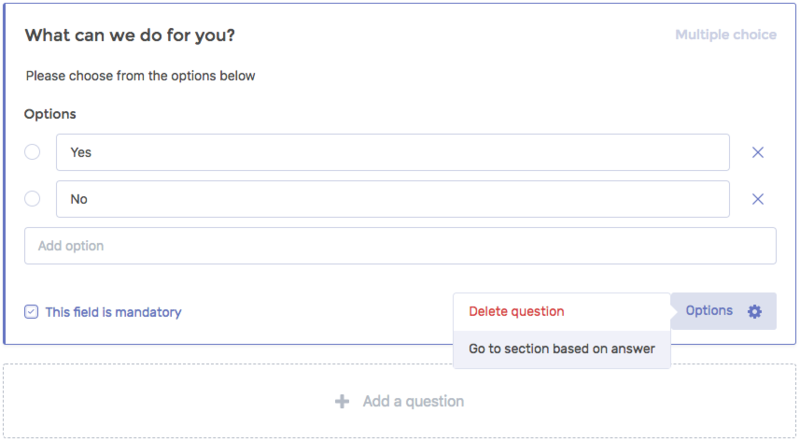 After publishing a form, you can safely make changes to the question titles and descriptions. However, after publishing it is no longer possible to change the order of the questions, add and remove questions or options. This is because users may already have filled out forms, and by making such changes the submitted data and the form would no longer match. If you want to change the order of the questions, add and remove questions or options, you can set the form to draft (unpublished), make the changes you want and re-publish the form. As a consequence, all submitted data for that form will be removed, requiring users who filled out the form to start from scratch. Through forms you can efficiently collect relevant data for your event. To collect data in the best possible way, Accredion provides you with various question types. Use the description field to clarify how you want to receive your data. If you ask for a phone number, you may want to use the description field to ask for an international format (“Please provide the phone number in international format, e.g. +31…”). When asking for multiple email addresses in a form field, you may want to ask to “separate multiple addresses with a comma”. The better question you ask, the better answers you will get! If you want to split your form into different sections, you can do so by adding one or more sections. You can direct users to a specific section of your form based on the answer to a question via Options > Go to section based on answer. We recommend you create all your form sections before configuring which answer should lead to which question. no questions or options are missing. You can see form submissions per event edition via the Forms link in the left hand menu. 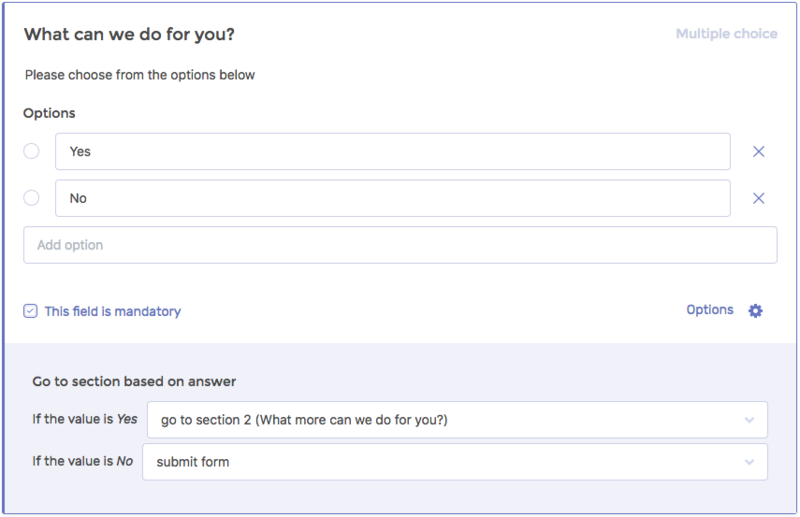 To see the submitted data of a form, choose the form and then the group you want to see the submission of. You can also export all submitted data related to a particular form to an Excel file by clicking on the button Get submissions in .xlsx format. You will receive an email with a download link as soon as your export is ready. Once a form has been submitted, the user can no longer change the form’s data, unless you allow them to. To allow a user to amend and re-submit their form, choose the relevant form and group, and click on the button Set form back to incomplete in the right top of the page. The user will be notified by email that the form has been set to incomplete.